DANGER! Prior to any maintenance, secure the Loading Arm and remove tension from the spring inside the counterbalance housing. The Loading Arm utilizes a torsion spring which contains a substantial amount of tension. Tension must be dissipated prior to any disassembly. Failure to remove all tension from the spring may cause serious injury. Warning: Never exceed the rated working pressure of the unit. Never modify or alter a unit beyond that to which it has been designed. 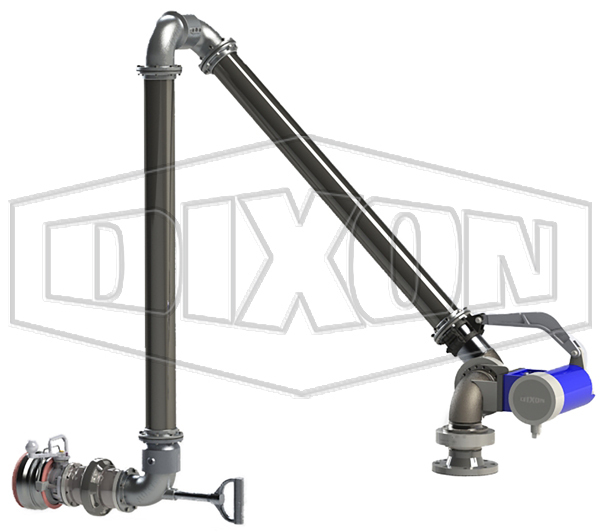 Should any unit appear damaged, remove it from service immediately and contact Dixon®. CAUTION: Loading arms are not provided with a pressure relief valve. Temperature variations and thermal expansion of liquid media can cause increased internal pressure. Therefore a pressure relief valve prior to the inlet connection point is required. Failure to install a relief valve prior to the loading arm may damage the equipment and cause injury.